The anticipated collaboration album The Life and Death of Scenery from hip-hop production stalwart L'Orange and legendary Boston MC and artist Mr. Lif is out now via Adult Swim. The physical copy of the album is set for release next Friday 10/14 on Mello Music Group which will feature 3 additional bonus tracks. A cast of special guests includes DJ Q-Bert, GonjaSufi, Akrobatik, Insight, and narration by stand up comic Wyatt Cenac (formerly of The Daily Show). Following the previously released singles "Strange Technology" feat. Gonjasufi & Akrobatik and "A Palace In The Sky," the release of The Life and Death of Scenery marks the first time these two artists, who were introduced to each-other by Jason DeMarco of Adult Swim, have joined forces for a full project. Adeptly set in a dystopian future, the album weaves a narrative of warped culture, fleeting art, oppression, karma and more through dramatic, gritty beats and vivd lyricism. 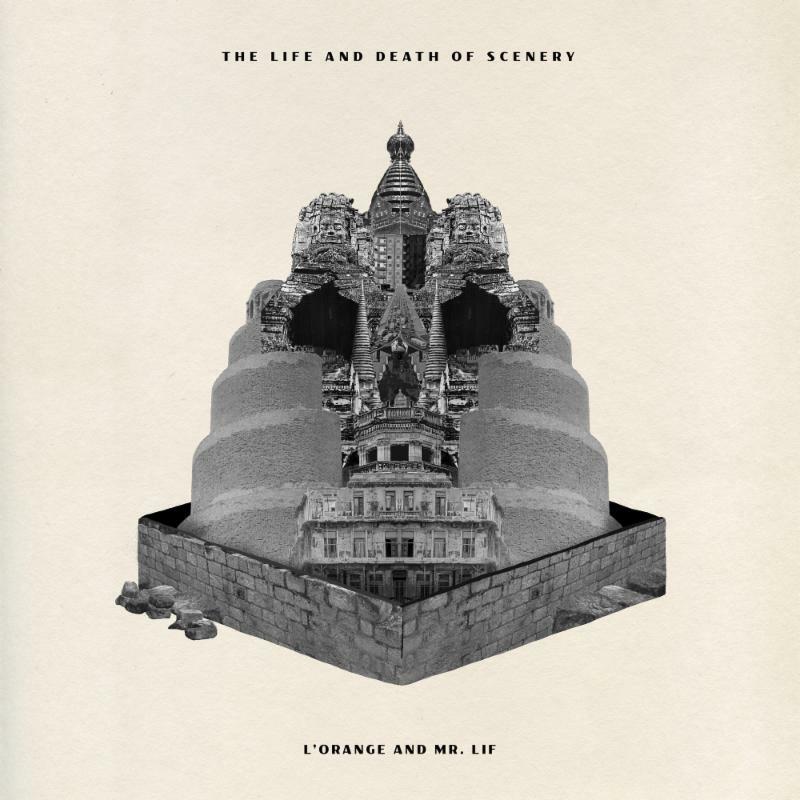 L'Orange and Mr. Lif have executed the rare feat of a conceptual hip-hop project which arrives not a moment too soon in a time of civil unrest and cultural absurdity while telling an imaginative story that eerily teeters on the line between what is real and fiction; the art of story telling is alive and well. Check out the album now and pick up the exclusive physical copy on CD and vinyl next week.